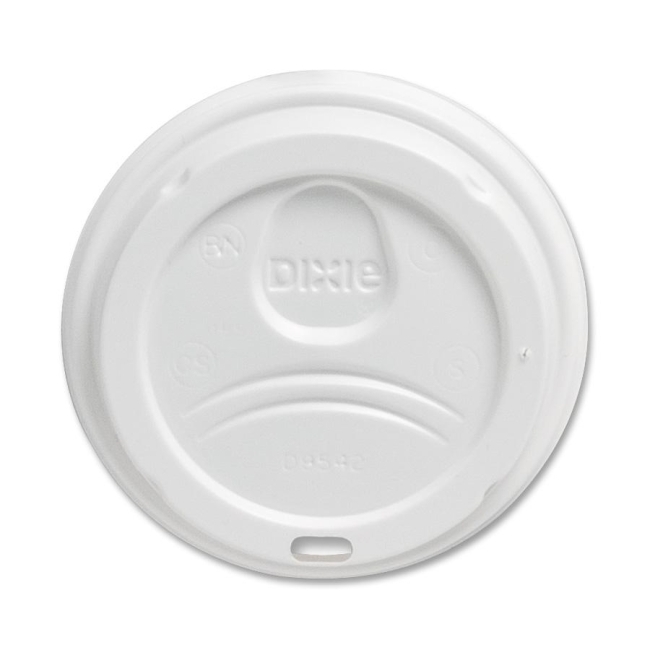 Plastic dome lid is designed for use with Dixie Foods PerfecTouch Cups in 10 oz, 12 oz and 16 oz sizes. Lid creates a strong, tight seal and keeps beverages warmer longer. Domed design helps prevent spills from sloshing.